The Bonnet is a charming new seating solution from Casalis. 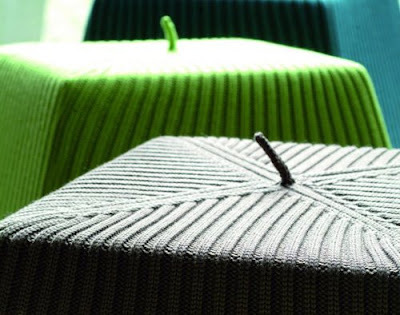 Designed by Liset Van der Scheer, these playful pouffes have cozy caps made of 100% knitted merino wool that are available in plenty of stunning colours - which also coordinate with Casalis carpets. 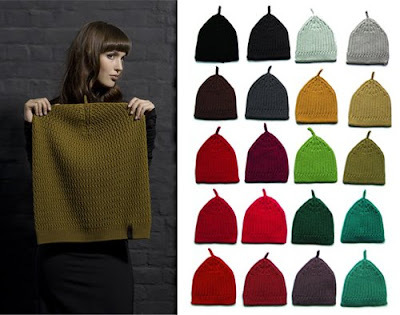 The covers are removable and fit snuggly over both square and circle forms. I love the winter hat-shaped cover with its little fruit-like stem!